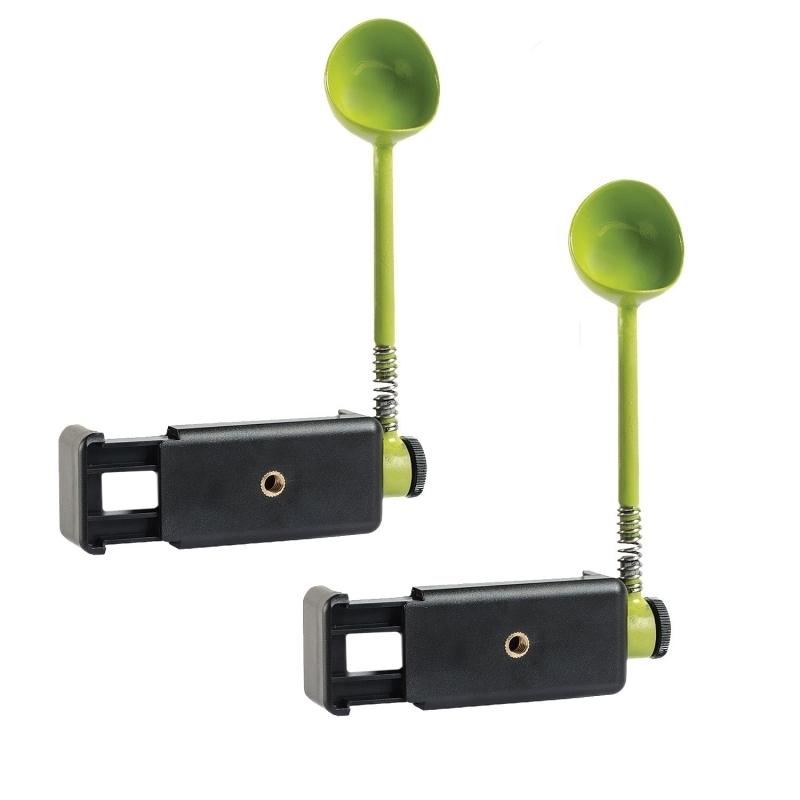 This product is a creative dog food launcher which is designed for attracting dog's attention in order to take perfect photos for it. 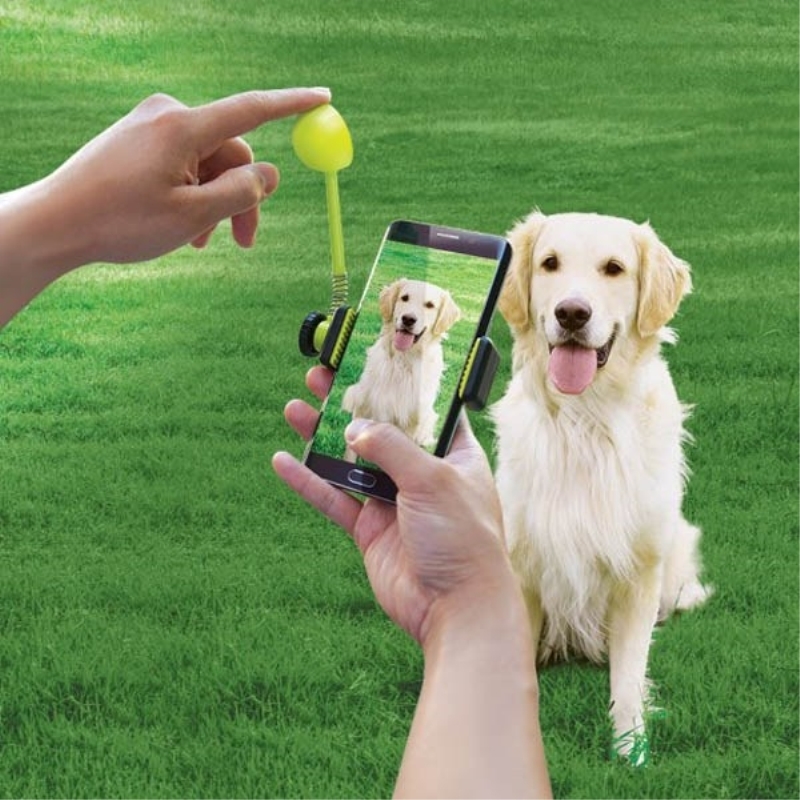 Perfect interactive device, dog will pay its attention to the food on the launcher, then you can catch this moment by smartphone to mark the cute photos for your beloved dog. 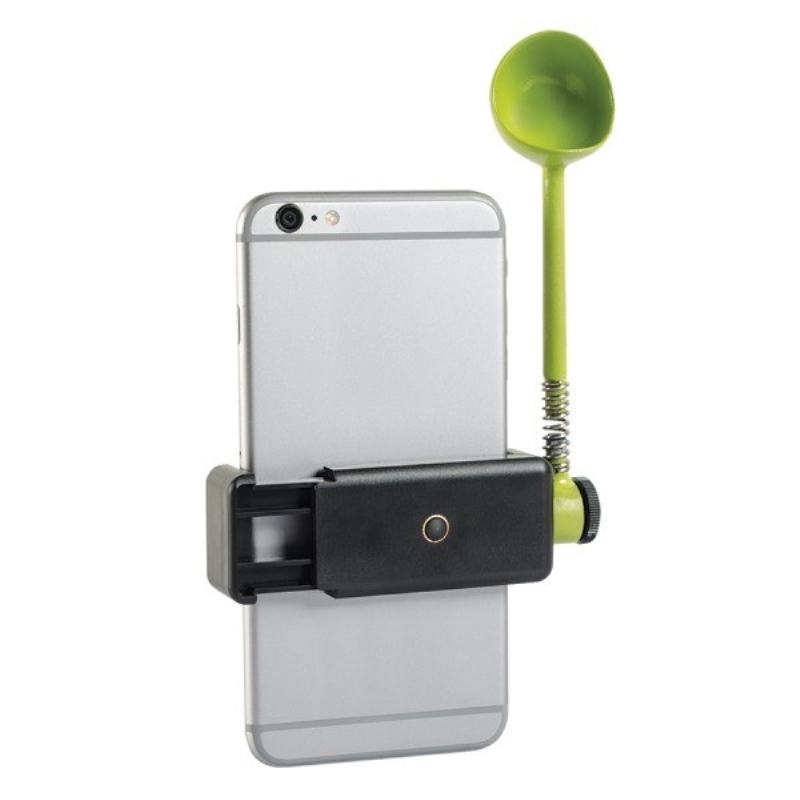 Fits to most of smartphone, you can adjust the device for different phones in different width.